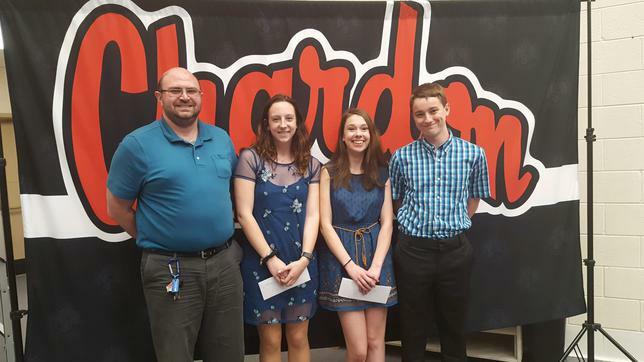 The Chardon Community Action Team (CCAT) is pleased to announce that we have awarded scholarships to Chardon graduates Ella Brickman, Tyler Mothersbaugh, Jennifer Vandenberg. CCAT works in our community to reduce the use of alcohol, tobacco, and drugs among our youth through education and drug free activities. Every year the Chardon Community Action Team sponsors a number of events such as our annual Car & Motorcycle Show, which makes this scholarship possible. Please mark your calendars this year show is Augusts 19. CCAT was pleased to review appellations from a number of applicants who have chosen to grow up without the influence of alcohol, drugs, and tobacco in their lives. Each applicant not only met all scholarship criteria, but exceeded them. To find out more about CCAT very important mission or more about one of our many events, please visit our website at www.ChardonCommunityActionTeam.org. We encourage anyone with an interest in our mission to attend one of our monthly meetings held on the third Tuesday at 7 PM at the Chardon Municipal Center, which is located at 111 Water Street, Chardon, Ohio 44024.